Following yesterday’s announcement of a “reorganization” within Hello! Project, the idol management agency has announced a new group, member transfers within current groups and new members added from the agency’s trainee system. Two weeks ago it was revealed that, with the upcoming graduation of Country Girls and former Berryz Koubou member Momoko Tsugunaga on June 30th, idol group Country Girls will be implementing a new system. In order for members Risa Yamaki and Mai Ozeki to focus on their studies, the remaining three members would be added to other groups within Hello! Project and reform during school and holiday breaks. The following changes have been made: Chisaki Morito will enter Morning Musume。’17, Nanami Yanagawa to Juice=Juice and Musubu Funaki to ANGERME. Additionally, members of Hello! Project Kenshusei, the agency’s collective of girls receiving dance and vocal lessons, will graduate to full-time members of Hello! Project: Ruru Danbara will enter Juice=Juice, while Ayano Kawamura will go to ANGERME. Hello! 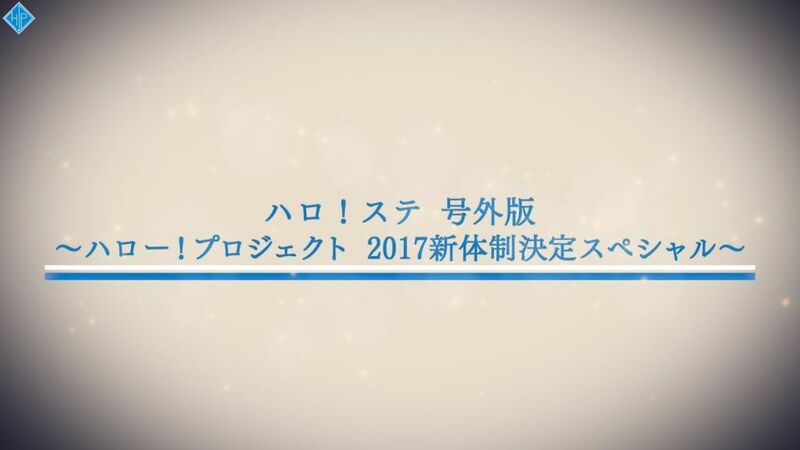 Project Kenshusei Reina Ichioka will be the leader of a new group, with other members and group name to be announced at a later date. Chisaki Morito in Morning Musume。’17. Reina Ichioka will be the leader of a new group. The other members of this new group will be announced later. Morning Musume。’17, ANGERME and Juice=Juice will start their activities with their new organization during the Hello! Project Summer Concert Tour “Hello! Project 2017 SUMMER ～HELLO！MEETING～/～HELLO！GATHERING～”. It will be at the Osaka Orix Theater on July 15th, the first day of the tour. Since then, the new members will participate on each group basically, but we aim for a complete and full participation by this fall. Concerning the announcement of the new group, it will take some time from now, but Reina Ichioka will take part at the Hello! Project Summer Concert Tour. Please continue to support us with the new organization in Hello! Project.